In an age before television and radio, the cartoon had immediacy and universal accessibility, giving a message which words could not convey. 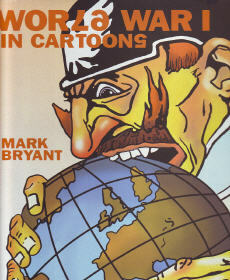 This book examines cartoons from both sides of World War I, both in color and in black-and-white, and skillfully blends them with historical background information to produce a unique and significant visual history of the conflict. 160 pgs, HB w/dust jacket, 9.75 x 12.25, 300 illustrations.